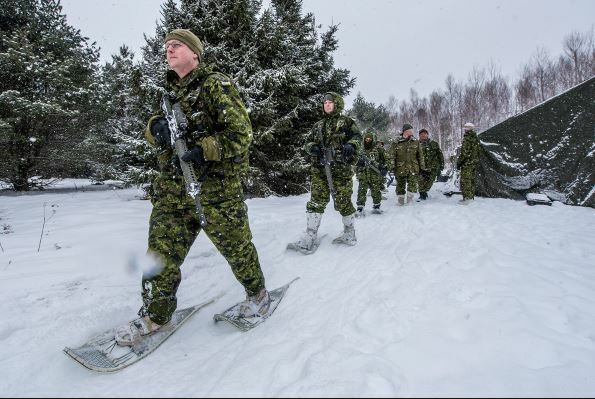 Canadian army doing winter training. Photo courtesy of the Canadian Armed Forces. Soldiers from the London area are training in Lambton Shores this weekend. The Canadian Armed Forces said about 75 members of its reserve unit are conducting a winter warfare exercise in the Thedford area Friday until Sunday. Captain Joshua MacAulay said they’ll be testing practical skills around residential areas and farmland. MacAulay said while most of the activities will happen during daylight hours, there will be some scenarios executed at night. Residents may see military vehicles and personnel participating in exercises with unloaded weapons. He said certain areas may be inaccessible during the exercises, but there will be no firing of any ammunition. Members of the public are asked to take extra caution when approaching any military vehicles in the area.